ITEM! 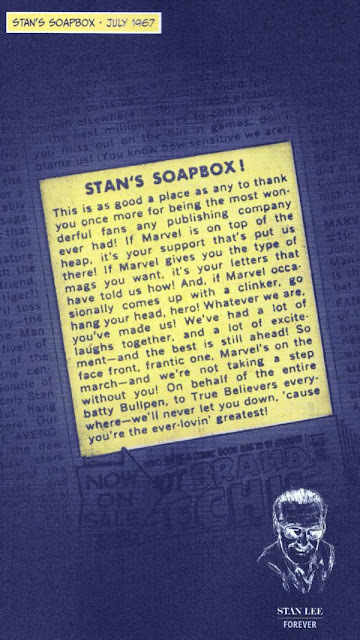 Marvel Comics is running vintage Stan's Soapbox columns in tribute to its late publisher, Stan "The Man" Lee. I always liked these short bursts of opinion and observation from Stan, which appeared on each month's Bullpen Bulletins page. Our own use of the word "Item!" in this column is a Stan tribute, too. ITEM! Sad news: HeroPress reports the death of fellow pop blogger Brian Keith Snell, creator of Slay Monstrobot of the Deep! We shared many of Brian's posts in Pop Culture Roundup and were regularly readers of his work. He'll be missed. ITEM! 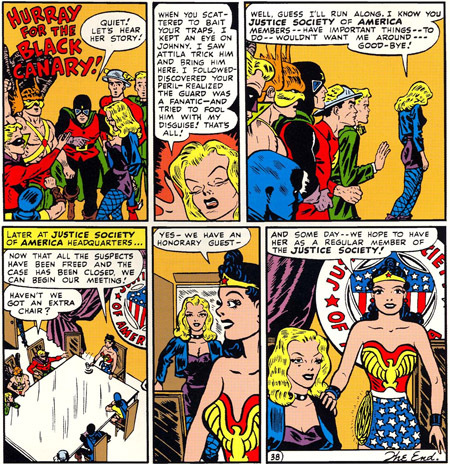 Siskoid explores the early days of Black Canary in DC Comics. ITEM! 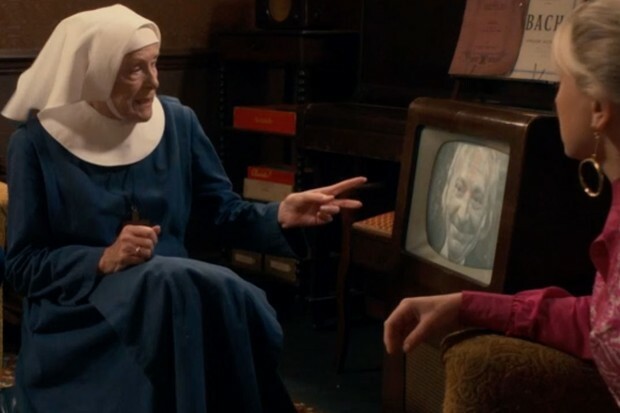 Doctor Who made a sneaky cameo on a recent episode of "Call the Midwife."